← we are now serious runners. seriously. Chipper running? I ran 4.5 chipper miles today, if you’re referring to the chipper scene in “Fargo.” Much like the movie, today’s run was based on a true story. Oh, I just think I’m gonna barf … Well, that passed. Now I’m hungry again. Headwind in both directions. No trick-or-treaters on the course today, so I ate the bag of chocolate myself. Note to self: Don’t carry fun-size Hershey bars in Nathan when it’s 82 degrees. 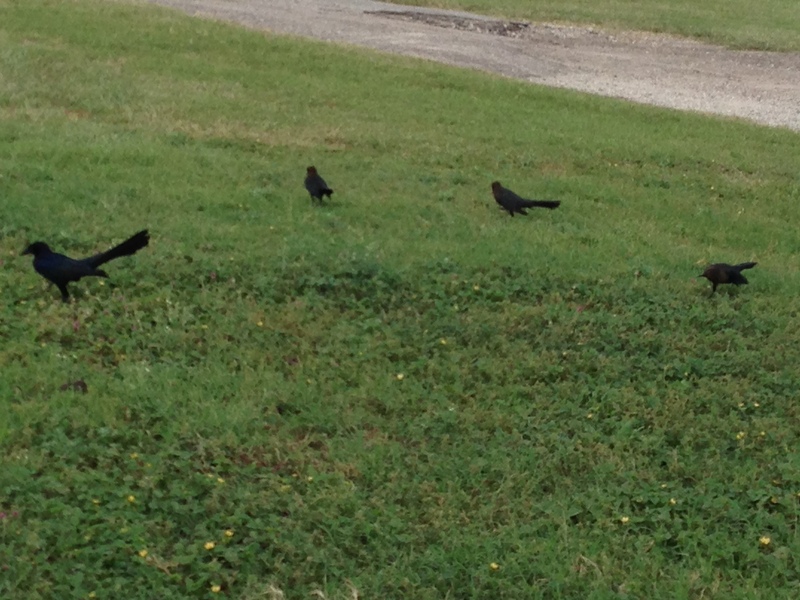 An interlude of Counting Crows, or possibly counting grackles. which makes me think of rice krispies, except for the snapping and popping part. Although my knee does make a funny sound now and then. Why is it that I have seven pairs of running shorts and they’ve all gone missing at the same time? Why is it that I always carry first aid stuff in the Nathan, but today, when I find myself with a hole in my right foot from a seam I just discovered in Kermit, all I have is some toilet paper and a suspicious-looking Tums? Why does everybody pretend they are Lou Reed fans only now that he’s dead? And how did he get so lucky as to find Laurie Anderson? Why is this the third time I’ve written about not carrying body glide on the run, and yet I’m still not carrying body glide on the run? Why must I always answer rhetorical questions? Don’t answer. That was a rhetorical question. I need to know these things. But I don’t. So I just keep on running, and trying to hold on to these moments as they pass. It’s what runners do. mostly its because your wife loves you so much. yes, hold onto those thoughts. mush mush.